There is a lot to learn when it comes to building a healthy and profitable property portfolio. And the funny thing is: There are many Australian families out there, unaware of the wealth they can build through real estate. 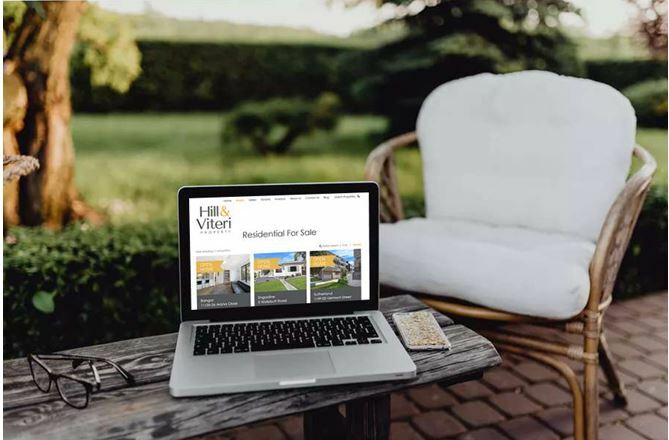 Speaking to a professional agent from Hill & Viteri Property could possibly uncover a goldmine of potential you never would have even realised before. So give us a call and have a chat with our team on (02) 9545-2220 and let us see how we can help you to achieve financial success through the real estate market. No time to chat with us now? SImply fill out our contact form here and one of our agents will be in contact with you later. Brand recognition is something that cannot be underestimated. Unfortunately in the property game, franchise models under well known Real Estate Agencies do not deliver the same service and consistency throughout their entire network. Investors and homeowners that were once happy to deal with a familiar agency’s brand in one state or city. End up shocked to find out that their new agent, operating under the same banner doesn’t provide the same level or type of service. When an agency operates under a franchise they usually have their hands tied by the franchisor. And this can cause some of the following challenges, such as marketing restrictions & guidelines, and having no room to move on fees or commissions. At Hill & Viteri Property our goal is to provide you and our customers with a smooth and stress free real estate experience. While other agencies may see you as just another number. We like to see our clients as valued members of the community, and work on building long lasting relationships. Being an independent real estate agency gives us the freedom to offer our customers flexible real estate solutions, that are suited to their circumstances. Don’t be fooled by an agent that doesn’t take all your circumstances into account when dealing with your real estate matters. And that goes for whether you are buying, selling or leasing property. By understanding what your situation is, we can best help and advise you how to achieve positive overall outcomes. But we don’t stop there. Our 3 core pillars of negotiating, communication and marketing. Has provided us with a sure recipe for success, that we pass onto our clients. Helping them to achieve financial freedom in the Sutherland Shire Property Market. If you are an investor needing to get a FREE Rental Appraisal? Then fill our appointment request form here. One of our dedicated property managers’ will be in touch. Or are you looking to sell your property and want to get your hands on a professional and FREE Property Sales Report? Give us a call now on (02) 9545-2220, or simply fill out our contact form here , and a team member from our sales team will be in contact at a more suitable time. Choose the agency that has your best interests at heart, and work with us here at Hill & Viteri Property. “Helping People Through Real Estate” is our motto and creed. Let us show you why our customers continue to deal with us and build wealth.